In October of 2014, I got started with my first successful online business when I launched GolfPracticeGuides.com. Here we are now 3 years later and it has become a full time income for me, something I never would have thought possible when I first started. 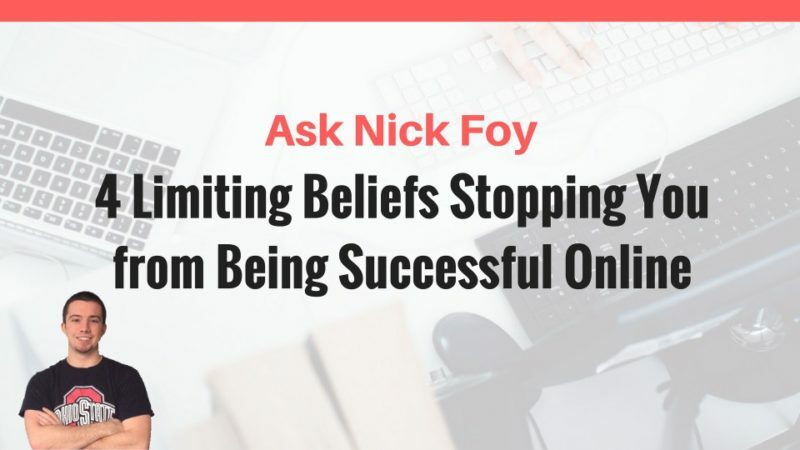 It’s these limiting beliefs that can hold us back from achieving success if we let them! Thankfully, I took the leap and just went for it, starting my golf niche blog and working hard to build an online business. I want to help you get started today too. You have greatness inside of you and you can become the next online business success story. 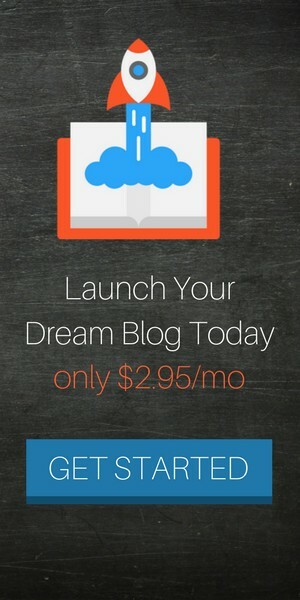 You have the potential to earn 6 figures per month blogging like Pat Flynn of SmartPassiveIncome.com or Melyssa Griffin or Darren Rowse. The list could go on and on. Let’s start with 4 common limiting beliefs bloggers face when they are first getting started! Isn’t it too late to start a profitable online business? No, it’s just the beginning. I remember just 10 years ago when I still had to use dial up internet connection that meant no one could call the house phone while I was online. No one had access to the internet from their smartphones and social media wasn’t popular like it is today. The internet is young and full of limitless potential in the future years to come. Now is the best time to start an internet based business that builds and grows over the next 10, 20, 30 years. Haven’t all of the profitable ideas been taken though? The worst thing you could do in business is start a business that has no interested customers. You’re not trying to re-invent the wheel with online business. You actually want to find a hot niche or idea that has been proven to work and start a business on that topic. For example, golf is nothing new. It’s been around hundreds of years and there are many different golf websites online. I started a golf website that now brings in over $3,000+ per month because I didn’t let the fact that there were other golf websites stop me. You make your money by carving a new path or finding a new angle of approach within this niche that attracts customers and takes you to the top of the niche. Well get more into this topic in a future post. Is it expensive to start an online business? Absolutely not! It’s very affordable actually. To purchase your own custom domain URL like “AskNickFoy.com” is just $10/year. That’s less than $1 per month. You’ll also need web hosting from a company like BlueHost to “rent space” on the internet for your website and this only costs $4/month. You can have a website up and running for less than $100/year. Feel free to subscribe to my YouTube channel for weekly lessons! I don’t have any technical knowledge of websites, coding, etc. No worries. I got started as a freshman in college on my first online business and had zero knowledge of how websites worked. Truth is, you don’t need any technical knowledge and you don’t need to know how to code to start a website. Today’s websites are run off a software called WordPress, which is a super easy platform to navigate and I’ve got plenty of step by step tutorials for you to watch walking you through setting up your website and WordPress. How to Start a Blog as a Complete Beginner? These are 4 of the most common questions I get from clients I consult for and I’m sure you have several other questions as well but we will get to those in upcoming posts when I start diving into specific lessons relating to websites, software, tools & resources, and strategies to use in your business. 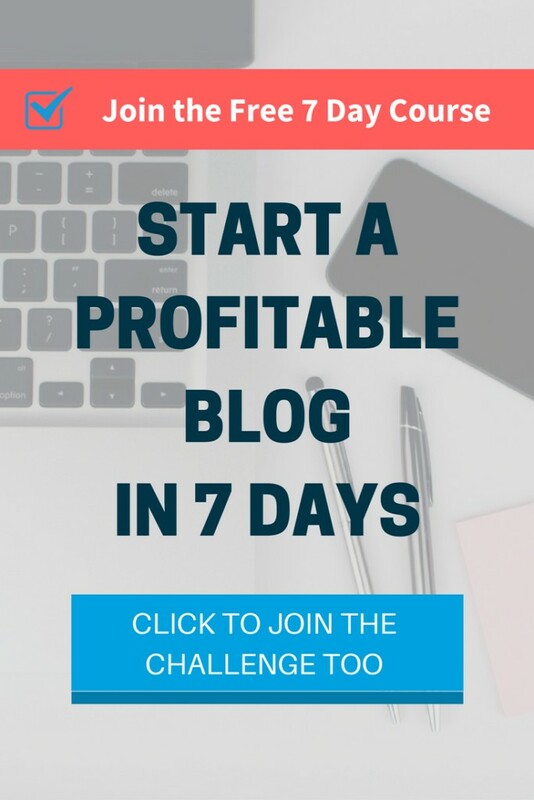 If you want step by step lessons, worksheets, and videos on how to build a money making blog from scratch in 30 days or less, then you may want to check out my eCourse – Profitable Blogger. 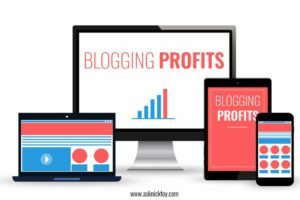 It comes with everything you need to get started and teaches you not only how to start your blog but also how to drive massive amounts of traffic to it and converting these website visitors into email subscribers or customers so you can start making money quickly form your blog. Plus lots more. Get started today!